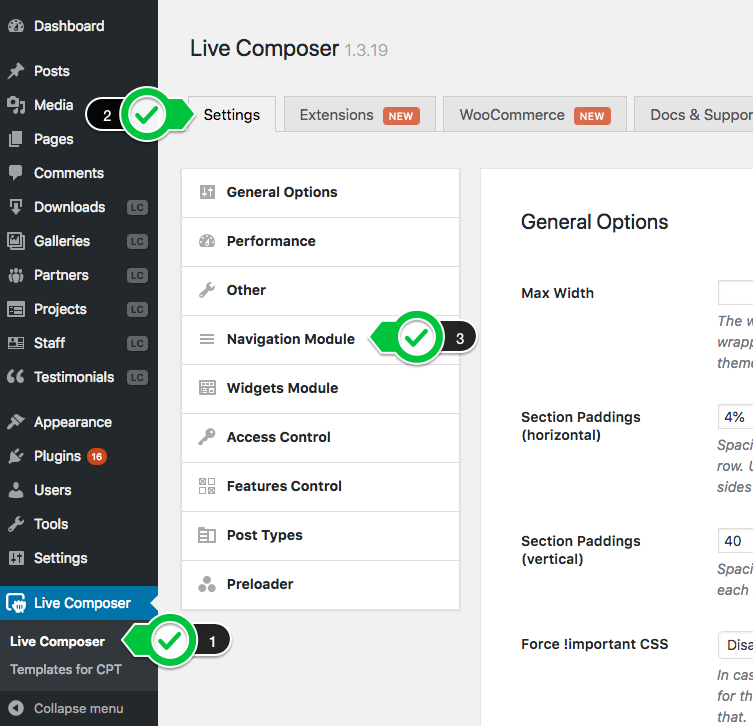 The Live Composer page builder comes with unlimited menus. You can create as many menus you need and use them in an individual and unique page headers. This article will guide you to register a menu position in your theme without touching the theme code. Go to WP Admin > Live Composer > Settings > Navigation module. Add a new navigation menu position. Go to WP Admin > Appearance > Menus and save a menu in the newly created navigation position. Is very possible, depending on your theme used, to not have at all the menu option from WP Admin > Appearance. In such a case, simply create and register the menu position as mentioned above. 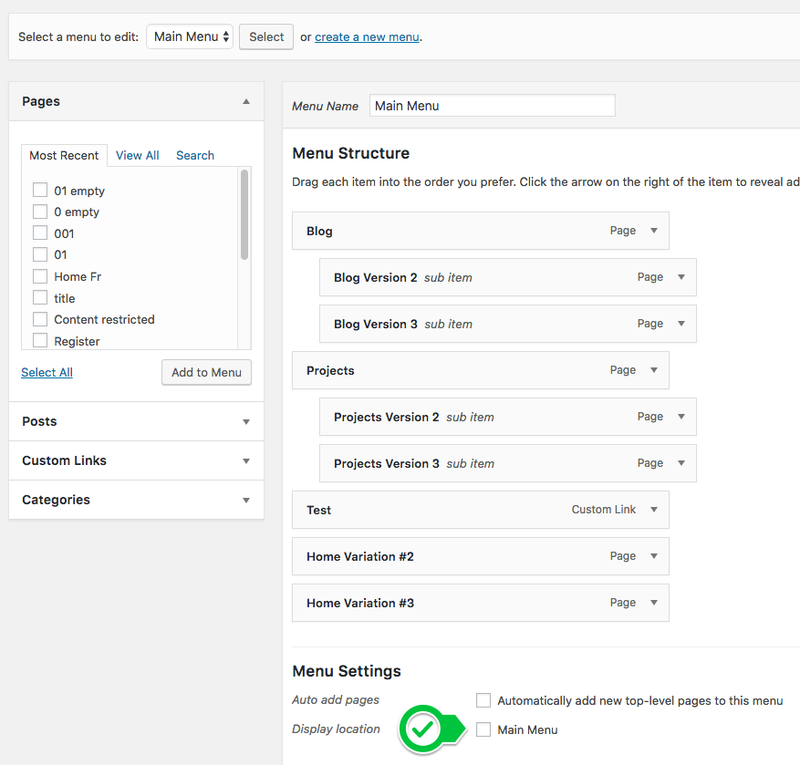 This will make the WordPress Custom Menu option to be available on WP Admin > Appearance. What e-commerce plugins may be used may be used with Live Composer?